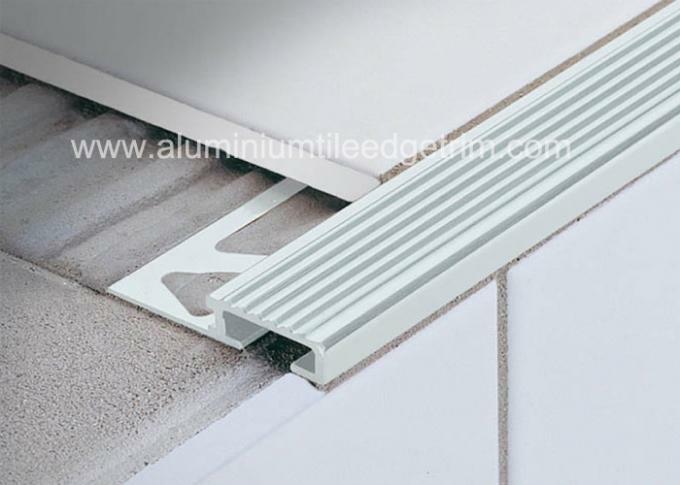 These non slip aluminium stair nosing edge trim with grooved tread are ideal for ceramic tiles on stairs and steps and offer a dazzling & lasting functionality,effectively enhancing natural stone and ceramic stairs. Available in Aluminium anodised silver, the aluminium stair nosing edge trim profile is installed during the tile laying process and can be used internally in residential and commercial buildings for moderate use. 1. Quickly renovate interior or exterior stairways to be safe, anti-slip condition! 4. Signicant cost savings worths complete stair replacement! 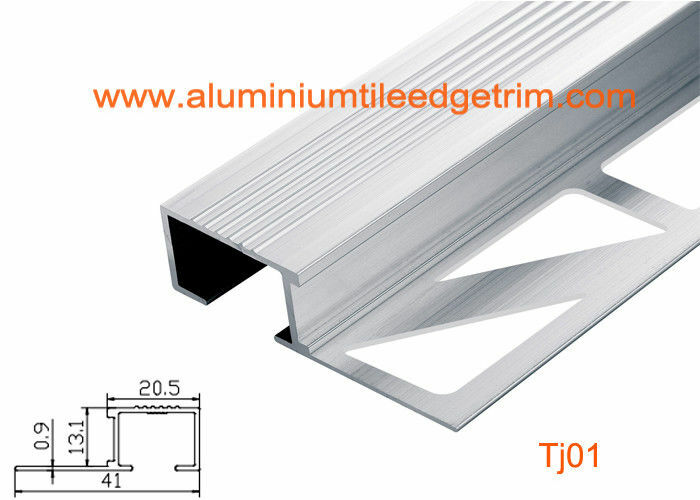 We Specialize in different types of aluminium stair nosing profiles, if there isn't the types you like, we can also customize the same as your samples or drawing.